A bedroom, handcuffs and a mask. 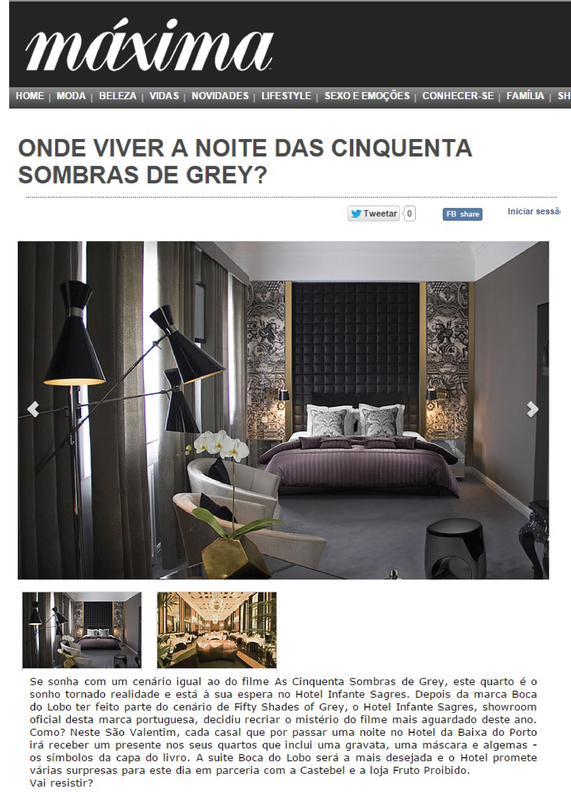 An Oporto Hotel recreates Fifty Shades of Grey’s scenario at suite Boca do Lobo equipped with Persono mattress. 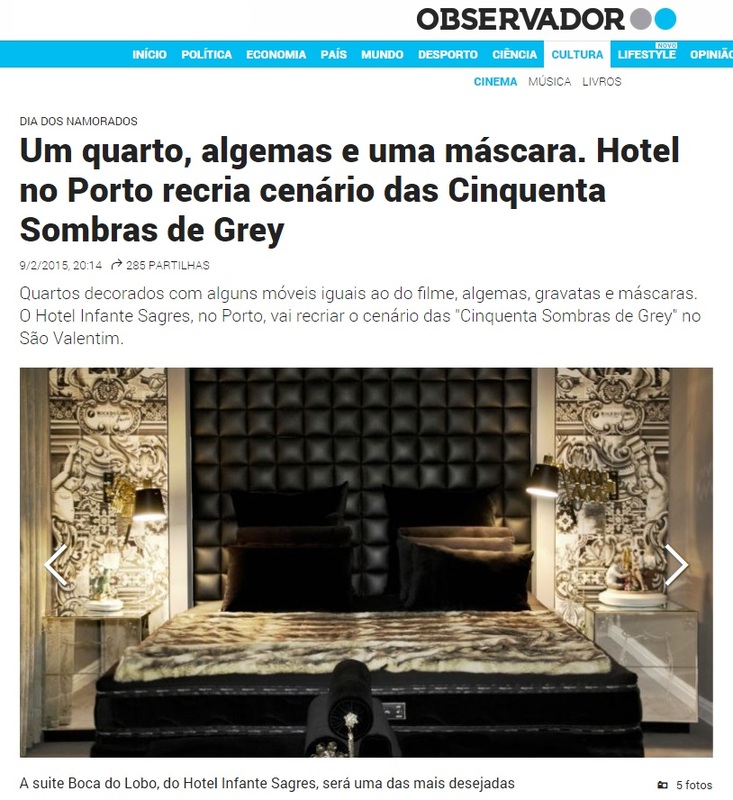 The suite isn’t red, as the room created by Christian Grey to kill his sexual desires, but the mattress could be in Red Velvet because it’s a Persono Glamour. 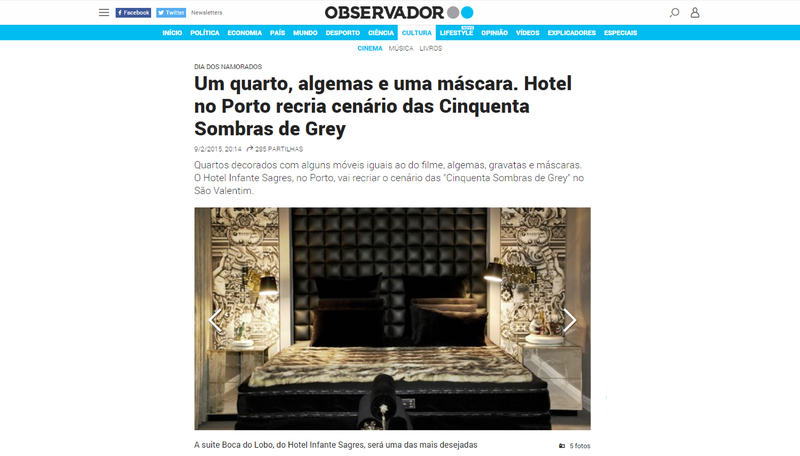 If you decide to spend the Valentine’s night in Hotel Infante Sagres, Boca do Lobo suite, with the Persono Glamour Mattress in Eccentric Black Velvet you will be entitled to a gift – a tie, a mask and handcuffs – and other many surprises that promise to transport guests to the scenario of “Fifty Shades of Grey”. 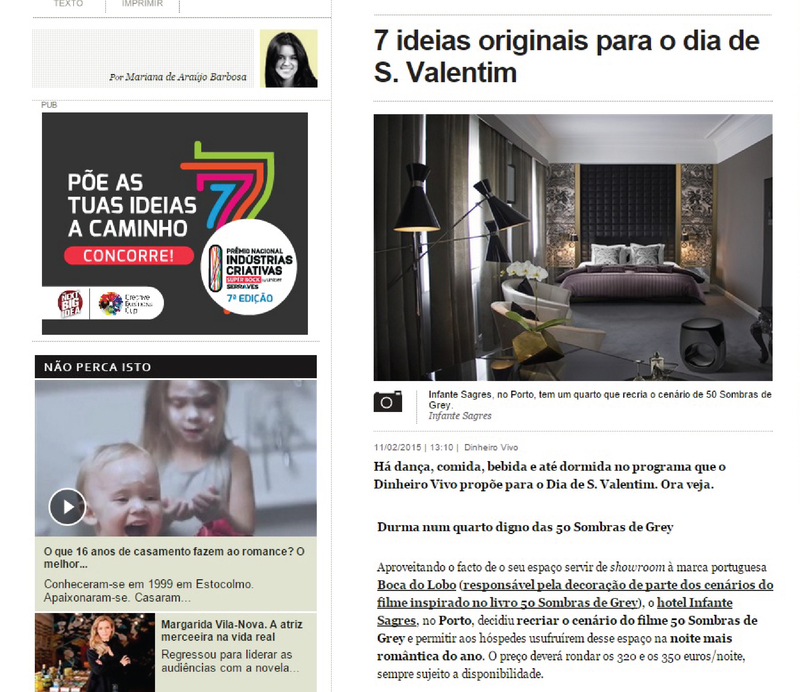 Why is Persono different and exclusive?